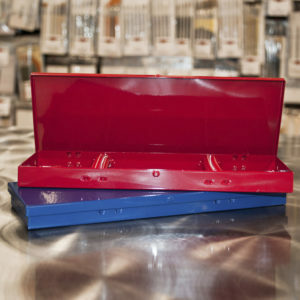 Powder coated in Ruby Red or Sapphire Blue, the all aluminum brush box will protect your brushes while drying, storing, and transporting. 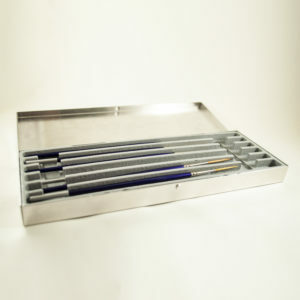 The brushes are held in place with two steel spring coils. 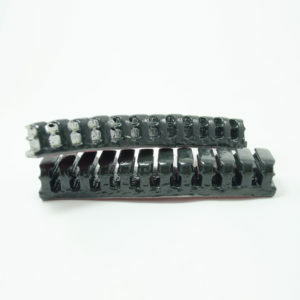 3 1/2" X 10"
This product is a collaboration between DeWayne Connot, Alpha 6 and Andrew Mack & Son Brush Co. 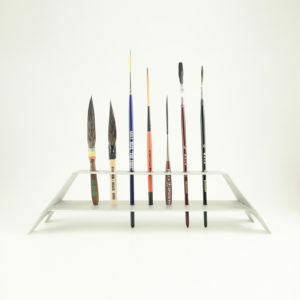 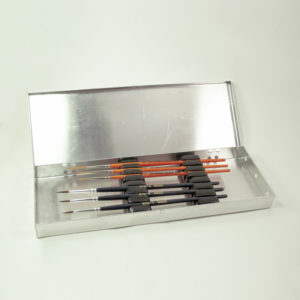 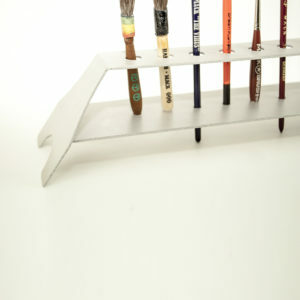 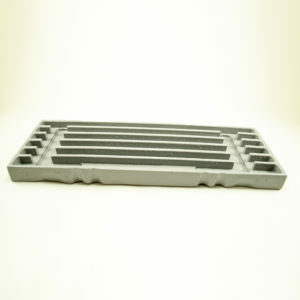 The all aluminum brush box will protect your brushes while drying, storing and transporting. 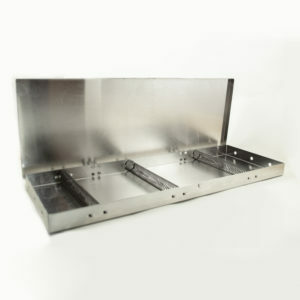 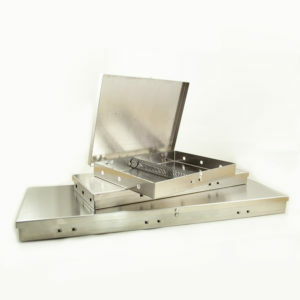 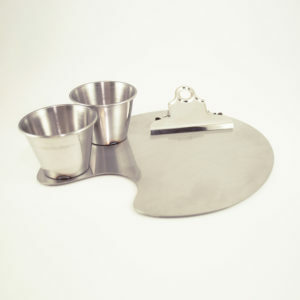 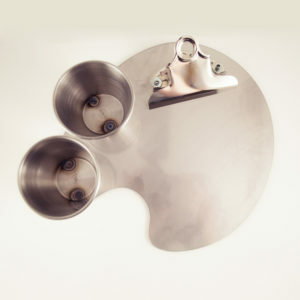 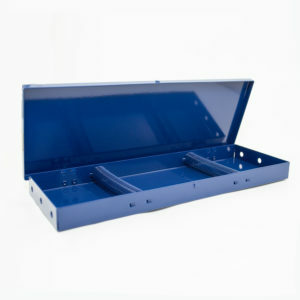 This kit has four trays for storage and four latches that are secured with one key lock. 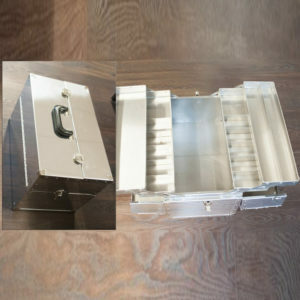 18" x 10.5" x 12"